Karen is a Board Certified Hypnotist and Hypnosis Instructor. She specializes in "Insight Hypnosis" which is designed to help you successfully manage or eliminate emotional imprints that lead to unwanted behaviors. Hypnosis is often a relatively quick approach to reaching your goals. It can also be an ongoing practice of behavior management, much like getting a regular massage. Karen believes in a client-centered approach and teaches a method of self-hypnosis that leads to long lasting success. Hypnosis is Right for You! 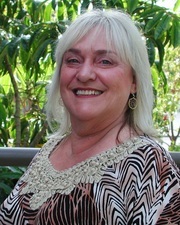 Karen is a Board Certified Hypnotist and NGH Certified Instructor, NLP Practitioner, and EFT Facilitator. She has studied with leading hypnotists from all over the world and has helped clients make amazing changes in their lives. Karen specializes in pain management, 5-PATH® Hypnotherapy and protocols in the management of migraines, Fibromyalgia, IBS, smoking cessation, weight control and habit change. She also teaches the art of hypnosis in classes scheduled throughout the year and conducts ongoing workshops for conferences and small groups.